Updates and news about Puravents range of industrial and commercial heaters, space heaters, LPHW heaters and radiant heaters. There are a wide range of Unit Heater Types on the market today. While many are versatile enough to be used in a wide variety of ways, others are designed for niche applications. Whereas radiant heaters, operating at a very high surface temperature are suited to ‘spot-heating’ applications (of say, a particular workbench) they are not generally a good selection for space heating. In contrast to a radiant heater, Unit Heaters use a fan to produce a high-volume flow of air which distributes the heat generated evenly and efficiently around the environment in which it is installed. Any heater will have limitations as to how widely the heat can be distributed and for larger spaces multiple Unit Heaters may be required. Although the heat is distributed in almost all cases by an integrated fan, the heat may be generated in a variety of ways. Selection is often driven by the most readily available and economical fuel for the user. Hot water is generated by a central boiler and is then circulated to one or more low pressure hot water (LPHW) unit heaters. These LPHW unit heaters are used in many applications, such as for heating shop entrances, warehouses, industrial premises, workshops and sports halls. The fans have a low sound level and offer reliable operation. Many have optional ancillary control equipment including electronic thermostat that starts/stops the fan and opens/shuts off the water flow. If heating is not required the fan may continue to run to provide ventilation if required. Multiple unit heaters can be controlled with a single external room sensor and set point adjuster. Some LPHW unit heaters are equipped with drip pans and drains and they can be used for cooling as well as heating. Some boilers produce hot water but others produce steam. Steam unit heaters are in many ways similar to LPHW unit heaters, however although they have a coil and a fan to blow the air through the coil, the coil itself is of a far heavier construction. The operating principle of a steam unit heater is slightly different to a LPHW heater in that the coil is engineered to make the fluid not only transfer its heat to the air but also to change state. The steam condensing in the coil liberates more heat than just cooling the steam but maintaining its steam state. The output of steam unit heaters is greater with larger pressure in the steam pipe and the Thermolier steam unit heaters that we supply are ideal for connection to piped steam supplies with up to 10 bar. These basic units range from 3kw upwards and are targeted at the medium sized industrial premises. Models are available for both single phase ands three phase applications. The hot air ‘throw ranges from 9 – 16 metres. To comply with Ecodesign Regulation (EU) 2015/1188 these units must be installed with an external thermostat (such as TAP16R accessory). TAP16R has adaptive start, week program and open window detection. Wall mounted specialised electric Unit Heaters. Selection will depend on the environment within which the heater is to be applied. The model shown is available in 4 versions. Elektra C is intended for corrosive and damp environments, for example, car-wash halls and sewage works with an outer casing of acid-proof sheet steel, rated IP65. Elektra F has a low element temperature and is approved for use in combustible areas, for example, joinery workshops and agricultural buildings rated IP65. Elektra V is designed to withstand vibrations on ships and offshore platforms and is approved by Det Norske Veritas. Available for single and 3 phase systems, 50 or 60Hz and rated IP44. Elektra H is designed for rooms with high temperatures, up to 70 °C and is rated IP44. These heaters can be installed where potentially explosive gases may be present. They are suitable for Zone 1 and Zone 2 hazardous areas and for gas groups 11A and 11B. They must be mounted horizontally and operated where the ambient temperature does not exceed 40 C. The heaters are stamped T3 and can be used in areas designated T1, T2, or T3. These heaters are widely used in installations such as oil refineries, waste water treatment plants and paint storage areas. ATEX certified with robust 2mm thick epoxy coated steel cabinet, adjustable air direction louvres, over temperature protection, vacuum charged fluid-to-air heat exchanger and built-in contactor. Marquee packages can be Diesel, Oil, or Gas powered. These are available in both fixed and mobile designs. For fixed systems it is likely that a large external fuel storage facility would be provided to facilitate economical bulk fuel deliveries. Mobile systems often include a small built-in fuel cell. Mobile systems are partticularly applicable to construction sites where permanent electrical connections are yet to be completed or for ‘Marquee’ events such as temporary concert venues, festival arenas, large weddings and other similar applications. A single heater may be ducted to multiple areas using a variety of duct-adaptors. Indirect Oil Fired Heaters have become increasingly popular in recent years; designed for horizontal or vertical suspension, the units are used extensively in horticultural and agricultural applications, and are often used in conjunction with suspended, perforated ducting, for maximum heat penetration. These units can also be floor mounted, using an optional trolley kit is available to facilitate movement between sites. The pictured unit has an output of 81kW (280,000 BTUs / Hr), with an airflow of 7,100 m³ / Hr. Ideal for industrial situations which produce large amounts of combustible waste. The heater pictured is designed to burn waste wood or logs to produce industrial quantities of heat delivered onto an air flow via its integral heat exchanger. The result is a space heater that looks a bit like a cross between a large wood stove and a conventional ‘bullet’ style space heater. Once installed will provide years of heat from waste wood for the cost of powering the fan.The tube heat exchanger in the top of the heater ensures that once lit, heat can be delivered quickly and easily on the air flow through the tubes. Fitted with a centrifugal fan it is suitable for connection of ductwork, to distribute warmed air to specific locations or even through to adjacent rooms. Unit heater Types – Biomass Heaters. These are totally self-contained systems which are ideal for space heating industrial type environments. They run on biomass pellets and the pictured range has nominal heat outputs ranging from 43 to 300 kW. Each system has 5 principal parts; The burner housing and combustion chamber; An automatic pellet burner; Control panel and burner programmer; Pellet screw conveyor; Pellet container tank. The combustion chamber with piped exchanger is designed to achieve performances higher than 92%. The pellet container which may be attached to either side of the heater has a standard capacity is 190kg but larger capacity containers are available if required. Unit Heater Types – Cabinet Heaters. There is a huge range of cabinet heaters on the market with a variety of fuels and electrically driven fans. The pictured heater is in fact oil-fired and is supplied with an integral day-tank and power cord enabling plug-and-play operation in both fixed and temporary applications. Unit Heater Types – Sizing Your System. High Volume Low Speed destratification fans (better known as HVLS destratification fans) are able to provide great improvements in working / customer animal environment and better operating conditions for many types of machinery. Due to their whisper-quiet operation (<60dBa) the Evel HVLS destratification fans are applicable across a wide range of environments including for example – restaurants, hotel lobbies, large open plan office places, atriums, warehouses, manufacturing environments and livestock buildings. What is ‘stratification’ of air? Stratification of air is due to the fact that hot air rises, leading to the temperature at ceiling level being higher than at ground level. It is generally accepted that in rooms with stratified air, the temperature differential is typically 2-3°C per 5m height but can be as much as 1°C/m height in some circumstances. In the worst case, this means that in a 10m high room the difference between temperature at floor level and ceiling level would be 10°C. To achieve a comfortable working environment of say 18°C therefore entails heating the ceiling to 28°C in this circumstance and the higher the ceiling the greater the potential temperature differential, and the greater the likely savings from implementing effective thermal destratification fans. How do HVLS destratification fans work? HVLS destratification fans take in the warmer ceiling air and transport it to the floor in a slow-moving column to create a better working environment and greatly reduce total energy consumption. In winter the most significant benefit is a considerable reduction in the cost of heating to create the optimum working/storage environment. During summer months HVLS destratification fans provide low-cost ventilation, reducing or eliminating the need for air conditioning. When are HVLS destratification fans used? These fans come into their own in larger applications where there is an economic advantage to using HVLS fans rather than typically up to 7 smaller conventional destratification fans. The increased cost per fan of HVLS fans will be offset by lower installation costs (particularly power and control cabling), lower ongoing operating costs (due to far more efficient motors and responsive control systems) and lower future maintenance costs (due to lower speed and automated, variable speed operation). Where are HVLS destratification fans used? In retail or manufacturing situations it is necessary to maintain a comfortable environment to maximise customer enjoyment and / or employee productivity. In high-tech environments a stable controlled environment is required for efficient operation of electronic equipment. In warehousing it is often necessary to maintain certain air quality standards including temperature and humidity in order to maintain the quality of the stored materials. Similar requirements apply to indoor sports arenas. HVLS destratification fans are ideal for such applications as they are able to respond rapidly to changing environmental conditions. Enclosed or semi enclosed livestock buildings such as poultry sheds, livestock wintering buildings and cow milking parlours will enjoy the benefits of energy savings and enhanced productivity and improved animal welfare when HVLS destratification fans are put in place. All Evel HVLS destratification fans incorporate brushless motor technology with integrated inverter to give optimum efficiency and also allowing remote control and/or monitoring of more complex environments. Fans may be controlled remotely as individual units or may be grouped together as a system and controlled by a central controller. The ‘WD’ range – This range is particularly though not exclusively applicable to the Hotel / Restaurant / Small Commercial markets. These have 5 ‘Selig’ profile fan blades with a diameters of 2.5 – 4 metres rotating at between 160 and 250rpm. These are suitable for ceiling heights up to 7 metres. The ‘WZ’ range – This range is aimed at the Industrial / Large Commercial / Farming markets. These have 5 ‘Naca’ profile fan blades with a diameters of 2.5 – 7 metres rotating at between 38 and 250rpm. These are suitable for ceiling heights up to 12 metres. The oil-fired Confort cabinet heaters range has been revised. The original Confort range of oil-fired cabinet heaters were notable when they first arrived 3 years ago because they had an on board oil tank which meant that the hassle and expense of installing a piped connection to a bunded fuel tank was avoided. The new range also has an on board tank but the tanks are bigger and much more part of the heater as opposed to sticking on the front of the unit. Old Confort cabinet heaters or new revised range, the main feature is the same – they are as close to ‘plug and play’ as it is possible to get with a cabinet heater. The relative ease of installation and their small footprint make them ideal for numerous industrial applications, such as workshops, industrial units, car showrooms and more rustic retail outlets. Previously, the Confort range featured the 1G and 2G models, which gave a heat power output of 31kW and 61kW, respectively. Looking at the new 35, 70, and 100 models, they give a heat power output of 35kW, 70kW, and 100kW, respectively. The new range offers an extra model at the top end and greater output across the range. Cosmetically, the design and look has received a major upgrade. The new models move away from the white and red to a more industrial looking metal-grey. Functions are now controlled with touchpad buttons which give a much newer look, compared to the switches and knobs on the older models. New to the market from September 2018 is Broughton’s new FireFlo FFHT32 industrial ductable fan heater. This heater is capable of ducting long distances and delivering high volume airflows with a differential temperature of 75°C. Built to withstand the knocks of day-to-day site use, the FFHT32 is ideal for use in factories, spot heating applications, and events. The FFHT32 spot heater features not only an on board thermostat but also a remote thermostat. Simply plug in the remote thermostat and that disables the on board thermostat. Spot heating is a bit of a niche area in the industrial heating market but these heaters do find a number of applications. One such use is the pre-heating of raw materials before handling and use in production processes. In these type of operations the FFHT32 would be ideal for delivering and circulating warm air between and around the containers of the raw materials, eliminating the need for heating belts and the associated wires trailing around the room and less work on handling the drums. A non-invasive method to evenly heat the contents. Another ideal application would be for delivering hot air into process applications such as might be found in production lines and drying tunnels. Brilliant for delivering hot air for drying or curing various coatings and adhesives or prewarming raw products as they are transported down the line. The FFHT32 is a well designed, portable, yet durable spot heater that is easily deployed for use in the a wide range of applications. Both heaters excel in their own right. The FF29 will always stand out, with its high airflow rate and heat output. However, the FFHT32 brings new capability to the field, with an outstanding temperature lift and a new axial fan. In short, if you are looking for a space heater then the higher heat output and airflow make the FF29 is the better bet, but if you are looking for a spot heater solution then the FFHT32 is a winner. Suitable for Bed Bugs?… A Qualified maybe. It should be noted however, that despite the high differential temperature the FFHT32 is not suitable for ‘in room’ bed bug treatment although it is ideal for ducted hot air supply into rooms being treated. In order to use it for bed bug applications it would need to be used in conjunction with a higher range remote thermostat which is not yet an offering. The temperature of heated industrial workplaces has a bearing on some aspects of health and safety, but also on productivity, the integrity of the building and indeed, whats inside it. It is not law, but it is widely recognised that workers perform best between 16°C and 24°C, depending on what kind of work is being done. Higher physical activity levels, i.e. manual labour, is performed best at lower temperatures and incurs less risk of heat related stress. Conversely office work and fine, dexterous work will require a slightly higher temperature. In addition to the obvious consequences of not enough heating, occasionally there are instances of badly specified, designed or poorly controlled heating resulting in overheating, where issues can include low levels of employee concentration, dizziness, fainting, or even heat stroke. This oddity can arise where the fabric of an old building has been upgraded to modern standards but the old and consequently over sized heating system retained. Apart from the social consequences, carbon footprint and energy costs will be far higher than required. Not only can this be attributed to the use of the wrong heaters, but also lack of proper heater control as well as poor ventilation and air circulation. Direct gas heaters are useful for heating workplaces with large open spaces, such as warehouses and industrial site environments. To use mobile gas direct fired heaters, sufficient ventilation of the room is essential to prevent a deficiency in ambient oxygen levels, and to prevent humidity levels getting too high. Direct fired gas heaters have been traditionally used to heat workshops, warehouses, construction sites and foundries, and for many years have been the automatic choice of the hire industry. These heaters have the added ability to dry buildings during construction, or after flooding, by pumping large volumes of warm, clean, dry air into the space without increasing the relative humidity of the workplace – indeed the %RH will fall as the temperature is increased. With all the convenience of easy mobility but without concerns about ventilation and oxygen supply, these mobile indirect gas heaters are a very versatile way of delivering larger volumes of hassle free heated air into marquees, building sites, industrial and agricultural buildings. With remarkably fast warm up times gas plaque heaters are really useful for heating industrial workplaces. They tend to find their application in industrial buildings where the heating requirement is more ‘occasional’ than ‘full time’. There are various small portable products up to about 36 kw which are fuelled from bottled gas, and also fixed plaque heaters which can run on natural gas. The nature of these heaters is that they create CO2 so as with direct fired heaters, there is a requirement to ensure that there is sufficient ventilation to ensure that there is no build up of CO2 and humid air. These are most commonly used in the marquee / event / temporary structure industry to provide clean, dry, thermostatically controlled heat inside the structure, with the heater standing safely outside. They are also widely used in construction, horticulture and agriculture and for general space heating. The Arcotherm indirect heaters are a popular choice for marquee applications where it is important to control the temperature to a pleasant setting to ensure that guests are comfortable. Heaters such as halogen heaters, patio heaters, cabinet heaters, and table heaters are not suitable for the application as neither have internal fans, and in addition can pose a trip hazard due to trailing power cables. The Arcotherm heaters however, are placed outside and out of the way, leaving a clean aesthetic feel inside whilst providing warm, clean, dry air into the space. Industrial radiant heaters are ideal for applications where rapid warm up times are required and open buildings require zone heating that would be impossible with space heating technologies. Smaller portable radiant heaters are available in both 230v and 110v, whilst for installed radiant heaters there is a choice of ceiling and wall mounted heaters. Electric radiant heaters are even available for mounting heights up to 20m – ideal for high bay loading areas and covered yards. However, the application is most suited to just heating specific work areas within a larger, relatively cold building. Radiant electric heaters also provide a rapid warm up time which can make them an ideal choice for buildings that get occasional use e.g. commumity halls. Electric radiant heaters find an ideal application in Hot Yoga studios. Radiant Heating for Hot Yoga places significant demands on a heating system because not only does the heating system need to be able to bring the temperature up to around 40°C. It also needs to be able to maintain that temperature within a relatively tight control band. The best heaters to meet the demands for temperature and of controllability are ceiling mounted electric radiant heaters. The Frico range includes a model called Elztrip which has the advantage of having a clean white finish, which suits a studio environment. Levels of controllability are enhanced with a control system where the power to the radiant heaters is rapidly pulsed on and off, and where the duration of the off and on parts of the cycle are altered to suit the temperature resulting in a much smoother temperature control especially when compared to a basic thermostat. Industrial electric fan heaters bring the advantage of readily portable, easy ‘plug and play’ to heating industrial workplaces. There is a huge range of types and capacities. Some smaller ones are 230v or 110v, whilst larger ones are 415v 3 phase. Some are built to be ductable, allowing warm air to be directed to where it is need, possibly a drying process or into a room. Some are wall mountable and have variants that are designed for dusty environments or very wet or corrosive environments or for creating hot environments. But the overall, industrial electric fan heaters are all about cost effectiveness and versatility. The Tiger range of electric fans heaters, for example, has ratings between 2 kW and 30 kW, each with on board thermostat control. The fans are ideal for use wherever temporary but effective heating is required, such as on building sites, in warehouses, workshops, shops, exhibition halls, assembly halls and garages. You can even attach them to a wall. Low pressure hot water (LPHW) is a flexible means of distributing heat to various zones or parts of a building. In a commercial or industrial setting, LPHW fan heaters or LPHW radiant panels are used and can be easily connected to the piped infrastructure. A piped LPHW system is a long-term investment – part of the building. The heat source (boiler, heat pump etc. ) and indeed the heat emitters (fan heaters, radiators, radiant panels etc) are easily changed and upgraded from time to time, when required. Where heat is available in this form then the use of LPHW unit heaters fed on hot water is invariably the most cost-effective and indeed versatile method of space heating a room or building. LPHW is ideal for all commercial and industrial applications: retail outlets; leisure centres; exhibition halls; warehouses; factories; garages; workshops; plant rooms. Heating industrial workplaces with LPHW can also be delivered in the form of ceiling mounted LPHW radiant panels. They create a clean look and come in various sizes to suit a variety of commercial and industrial workplaces. They can be fitted within a suspended ceiling grid or suspended from a solid ceiling. The effect is that the heater blends to be part of the ceiling and it is very clean and neat. No surprise that this variety of radiant panel heaters are popular in schools, municipal buildings, and commercial spaces. Suspended LPHW ceiling panels are seen when the ceiling is the roof line and particularly where the roof itself is a feature of the building, these radiant panels can add to the effect. Without the constraints of a ceiling grid they are available with a wider array of widths and again come in various lengths. All ranges have a system of jointing that ensures that panels can be combined to form a seamless run. These type of heaters are normally used in larger rooms such as sports halls and assembly rooms, and often feature ball covers to prevent balls getting caught on the top of the heater. This type of heater is also becoming increasingly common in ‘clean’ manufacturing settings. Steam, which is often viewed as a means of powering the industrial past, is in fact still a feature of some of the larger industrial buildings. Where there is a steam infrastructure there are two heating options – fan heaters and radiant panels. Thermolier fan heaters are an industrial heating stalwart and are widely used on steam applications. Efficient heat transfer from steam to air and strategic placement of the heaters gives exceptionally fast warm up and practical heat control in large spaces. Requiring little or no maintenance, these heaters are tough and efficient, and are typically hung from the roof structure of from wall mounting brackets. There are vertical airflow versions available which are suited for mounting in the mid area of large buildings away from walls, where they can provide destratification as well as heating. Steam radiant panels are a niche line but can be useful in providing heat in zoned areas where the expense of putting electrical ATEX certified equipment is prohibitive. Depending on the heat requirement and steam pressure available in the pipework, we can work out the most cost-effective sizes and array of steam radiant heaters to deliver that requirement. Jumbo Heaters – A long-established stalwart of the hire trade and in marquee companies gets a make over. Jumbo Heaters, which have been a mainstay of the Puravent heater range for years, have had a bit of a make over. The old range which was composed of the 115, 150 and 200 models has been superseded. The new range has a 5 model line-up and now has Jumbos 85M, 110M, 145M 185M and 235, with nominal rated outputs of 85kw, 110kw, 144kw, 185kw and 235kw respectively. Here at Puravent we always thought that the range of Jumbo heaters were pretty good, but apparently there was room for improvement. With a larger number of models an a wider range of options, the new range ticks a lot of boxes. The Jumbo indirect diesel fired heaters have been updated with a box frame chassis. New body features lifting eyes and bumper rails to protect the vitals. The box frame chassis allows the body panels to be removed for inspection of the heaters innards and for easy cleaning. And the body panels are not just tin trays. They have been stiffened with cross braces to add further rigidity to the heaters and to offer more protection from handling impacts. The burner is now much better protected and enclosed in a box that has an over reaching bumper bar above. Likewise, the inlet fan is protected not only with a grid over the impeller but a bumper round the motor. The controls are securely protected by a steel protective box to prevent tempering and to guard against damage to the switch gear. The electrical control gear that lurks in the protective box is IP65 protected. It really does not matter what the weather is doing outside, the Jumbo will keep on sending the warm air inside. And the fan is IP55. This means that it is ‘dust protected’ as well as protected against water ingress to the extent that it is protected against ‘heavy seas’. From the IP coding descriptions you could easily deduce that the Jumbo heaters are suitable for use in a ship. The fans on the range of Jumbo heaters are 7 bladed axial units which have been chosen for their low noise characteristic. The fan on a Jumbo heater will deliver 200Pa . This is enough to push the warm air along flexible ducting to where it is needed, and it will still only generate 67db of noise at 2m. The bumper bar that protects the fan motor is detachable. When it is removed it enables the fitting of an inlet ducting adaptor. With an adaptor, flexible ducting can be fitted to the inlet of the fan. This enables the heater to reheat air that has been returned from the room or building. Compared to just heating fresh air, this facility of re heating the return air ensures that running costs are kept to an absolute minimum. But it is the accessories that make the Jumbo a winner. Each of the 5 models in the range comes with a single outlet duct connector and a tiger loop on the oil supply side. The tiger loop prevents air pockets interrupting the fuel supply. In addition, there are optional bits and bats including a twin duct connector or ‘splitter’ as they are sometimes known. On the larger models there is even an option to have a 4 duct connector outlet. The Jumbo is indirect fired so the combustion gases are exhausted to the flue, whilst the air is warm and clean. The Jumbo heaters have a similar internal layout to other heaters of their type. It is interesting to note, however, that the new Jumbo heaters are more efficient than the outgoing models. This suggests that the new range has some improvements to the design and construction of the burner and heat exchanger. The new models all return a thermal efficiency of at least 92%. The majority of power outlets across the world operate 50Hz (220–240 V), ranging from majority of Europe and Asia, Africa, Australia, Russia, and South-Southern America. However, Northern America, and Nothern South America, operate a frequency of alternating current at 60Hz (100–127 V). To most, this is not new information, but how many can actually answer- why the difference? When looking at the choice of grid frequency (assuming both voltage levels are the same), there can be seen to be no particular major advantages between either frequencies, with both being quite similar from an electrical perspective. Where they differ, however, is from a design perspective. Simply, 60Hz supplied to a motor makes it rotate faster compared to it being supplied by 50Hz. It used to be easy, insofaras machines with motors would be able to work on either 50 or 60Hz, however as electric motors have developed over the years to become increasingly efficient, it seems that they are also more fussy about the frequancy or the supply. These days a machine that can run on both frequencies is a rarity and it is typical that they either run on 50Hz or 60Hz, but not both. Choices over frequencies does however have historical reasons. Early on in the history of electricity, the norm was set with Thomas Edison’s General Electric company distributing direct current (DC) electricity at 110 volts in the United States (U.S). With this, Nikola Tesla introduced three-phase alternating current (AC) at 240V. This allowed for three slightly out of phase alternating currents (AC) to combine and even out great variations in voltage occuring in AC electricity. With this, Tesla conclued that 60 cycles per second (60Hz) was the most effective frequency. However, due to safety reasons, reduced the voltage down to 120V. With this, 60Hz became the standard for the United States and Americas. Over in Europe, German company AEG invested in generating electricity at 120V/ 50Hz instead of 60Hz to better fit their metric standard, and the result became the norm in mainland Europe. Post World War II, Europe switched to 220V for better efficiency in electrical transmission, and simulatensously, Great Britain changed from 60Hz to 50Hz to follow the European lead. What could have been an expensive switch-over was averted because few people possessed electrical appliances at this stage. However, at this stage a large portion of U.S consumers possessed electrical appliances and such a switch-over would not be viable. A comprimise was concluded with 240V being able to be introduced to a house where it could be split to 120V to power most appliances, whilst certain household appliances such as the electric stove and electric clothes dryer, would be powered at 240V. Today, there are still a small minority of countries split between the two. For example, all of Japan runs on the same voltage, however the frequency differs from region to region. Eastern Japan (including Tokyo), uses 50Hz after purchasing electrical generators from the German company AEG in 1895. A year later, American company General Electric, provided 60Hz generators for cities in western Japan (including cities such as Osaka and Kyoto). Interested in products catered to 60Hz? There seems to be a slight bend in the rule however. Majority of offshore vessels and platforms run off 60Hz, no matter where they originate or are manufactured. Ranging from oil rigs in the North Sea to the ships deployed by the Royal Navy (*excluding DC ships*), most of these run off 60Hz. The offshore market for 60Hz fans and other 60Hz machines has ensured that we have adjusted our product range to meet this requirement. Here is a highlight of some of the products ranging from 60Hz fans, 60Hz fan heaters, 60Hz basket fans and 60Hz recirculation fans. The range of 60Hz that are either available in a 60Hz variant, or can be built to order for connection to a 60Hz supply. With that in mind, if you have any questions on purchasing a product that runs on 60Hz from this list or more from our range, (including its application), contact our specialists at info@puravent.co.uk or call our UK based office at 0845 6880112. Bed bugs are a tricky little pest; once they get into bedrooms and bedding they are difficult to eradicate. Finding the most effective method is key because this will maximise the elimination of the mature bed bugs, and reduce the likelyhood of reinfestation. One of the best methods is to kill the bug with heat. Heat treatment of bed bugs is both simple and cost effective. Using heat against the bed bug fundamentally renders the parasite unable to survive. When the heater pushes the temperature past 50°C (122°F), all active stages, and the laid eggs will die. Other methods might be effective at killing eggs and larve but heat is effective at killing all the bed bugs development stage. Heat has proven to be a effective technology in this field, it not only provides a competitve edge in the cost and quality of bed bug treatment, but also leaves no chemical residues, and holds a greater margin for safety. The next step is to figure out which heater will be most efficient and practival for the application. There a various treatment systems to choose from, starting with either an electric heat system, or a propane or oil fired heater. Electric heaters are a closed system, which operates within the structure to generate heat, using a power source. Oil or propane fired heaters by contrast are generally used outside of the building and the hot air ducted in. Despite having a higher air output, oil or propane fired heaters can be seen as more difficult in application. Having a seperate heater outside the building requires copius amounts of ducting which could be difficult in the application of a high level room. In addition comes the task of blanking off openings in windows or door ways through which the ducting is routed. All that being said, what heater can do the job most efficiently? 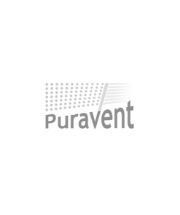 There are currently 3 electric heater options which can be offered from Puravent. The Fire-flo FF3HT-15 is perhaps the most basic unit and it is a variation on the popular FF3 heater which is used for general industrial heating applications. Although a single phase heater and in normal circumstances would be perfectly capable of heating a hotel room to ‘comfort’ level, its 3kw of output is not sufficient to heat a hotel room to the temperature required for bed bug treatment. What this means is that the bed and bedding require enclosue in a bed bug treatment tent within the room, or indeed outside it. The obvious draw back of this method is the additional equipment and time needed, as well as the partial nature of the job. But also, what if there are other bed bugs beyond the bedding, perhaps in the other room furnishing and carpet? The Kroll E18SH, like the Fire-flo is a variation on a standard industrial heater. This heater gets over the power limitation of single phase supply by using for a 415v 3 phase solution. Although this will easily generate sufficient temerature for bed bug treatment in a typical hotel room, the issue is that hotels generally don’t have a 3 phase supply. For this option to be a option for a bed bug treatment contractor, the additional equipment needed here is a 3 phase generator. So the arrangement here is a generator outside and a heavy power lead from the generator outside to the Kroll heater inside. The KillMann heater currently stands out in the market as the most sophisticated tool for the job. Unlike the other two options it has been designed from the ground up as a high temperature heater. As well as bed bug treatment it is also ideal for other high temperature applications such as product drying, warm rooms and raw materials preheating. Rather than just a simple thermostat, it has a sophisticated electronic control and 5 heat stages. There are 3 versions, 415v 3 phase, 230v single phase and a dual voltage version which offers both voltage options on the same unit. The single phase version recognises that there is a limit to the amount of power that can be drawn from a single 230v socket so it draws from 3 sockets (ideally on different circuits) simultanisouly to generate is maximum 7kw of heat. It is not as powerful as a Kroll but it is more controlable. For more information on what system would suit your application, or for any other questions regarding our range, please see our website. Providing a comfortable atmosphere onboard ships and offshore platforms requires a high level of engineering and innovation to address not only size and location constraints, but also the challenging environment onboard and off the vessel. One of the main factors to take into account is how to install a reliable certified marine heater in such a confined or difficult space- whether it be inside a cabin, toilet/ bathroom facilities, or a small room. Secondly, these sort of spaces are commonly associated with a demanding environment that incurs issues of vibration, or the implications of extreme weather conditions outside the vessel or platform. Ships and offshore platforms usually have a power supply that runs at 60Hz rather than the typical on shore frequency of 50Hz. This is a problem for normal fan heaters because they are designed to run on 50Hz. Although some can operate on 60Hz with the fan spinning a little faster than it would at 50Hz. The main problem however is vibration. Without the firm foundations of a building to soak up vibration, ships and platforms can suffer from low-frequency hum emanating from their main and auxiliary engines and other plant on board. Standard fan heaters are not designed to operate with continuous vibration. Moreover there are engineering standards specifically for these types of applications to be met before heaters can be used for this type of environment. In 2005, the advanced supply vessel known as the Bourbon Orca won the “Engineering achievement of the year” for 2005. The award signified improvements for offshore engineering in regards of safety, environment, comfort, efficiency, fuel economy and sea performance. Ulstein Elektro AS, one of the world’s leading suppliers of advanced vessels chose to secure the sustainablity and comfort of the ship through the installation of Elektra V fan heaters throughout the vessel. According to Ronny Bårslett, the Department Manager at Ulstein Elektro, the Elektra V range provided not only good quality, but provided a cosmetic appeal and practical size for use onboard. Along with hundreds of other ships, the Elektra range has been fitted to adapt to small fitting rooms. Onboard the Eira cargo ship, three cranes are used for loading and offloading goods. Inside these cranes are workers who are confined to this space for long hours, which demands a high level of comfort and space. The hard wearing certified marine heaters provide a comfortble level of heat in the crane cabins, whilst addressing the conditions of the demanding environment on board a vibrating ship. – Elektra V is designed to withstand vibrations on ships and offshore platforms and is approved by Det Norske Veritas. Elektra provides a range of fan heaters designed for use in demanding environments. The different models can be used anywhere from corrosive environments and combustible areas, to rooms with high temperatures such as onboard ships and offshore platforms. Elektra is primarily designed for stationary use, yet can also be used as a portable fan heater due to its brackets which are able to be rotated. The long life span and easy installation makes it to be an economical and low maintanence heater that can withstand a lot that life throws at it. To learn more or enquire about this product, please visit Puravent’s site for further information. A powerhouse in a small frame, the T2RIB range of certified heaters with outputs from 250w to 2000w. All heaters in this range feature surface temperature that remains below the maximum limit stipulated for electric heaters. They are constructed in aluminum and stainless steel, which deem it to be lightweight- perfect for ships and other offshore installations where space and weight limitations can cause a major issue. These certified marine heaters are IP44 rated for rooms on ships and offshore installations, with a protection against particles (dust and solids), and liquids. Which again, make it perfect where space and weight are important factors when choosing a heating source. The heater features saftey precautions such as a protection grating at the top to prevent it from being covered, and an automatic thermal cut-out to prevent overheating. The small frame and light design allow it to be placed in the most trickiest of spots, but still withstand the vibrations that occur from an offshore vessel or platform. These certification companies ensure that the product adheres to the rules and regulations of overarching insurance companies, such as Lloyd’s Register’s. Furthermore, these companies promote standards and guidelines which are developed and based on the competence and experience of engineers, extensive research and development programs, and in close cooperation with customers worldwide, to ensure that the product reflects a high quality of innovation in engineering and practicality. In addition to certified marine heaters, there are many other necessary products for the marine market. Here is a highlight of various products that are suitable for the demanding environment associated to spaces found in offshore vessels and platforms.